The recent acquisition of Italy’s tire manufacturer Pirelli by the Chinese state-owned chemical company ChemChina is the latest in a string of Chinese and Indian investments in worldwide known European brands, not limited to the automotive industry. Do European countries and consumers have to worry about this phenomenon? Does this spell danger for our crown jewels and will the manufacturing jobs be moved to China or India, where labor is much cheaper? History proves us we should embrace the Asians as excellent caretakers of “our” brands, better than the Americans have been in the last few decades. The Asians understand the value of a brand, because in their domestic markets there’s a huge difference in perception between local brands, which are considered low-value and can only compete on price, and foreign import brands, which are considered high-end and therefore are able to demand higher transaction prices, resulting in high profits. As a result, when an Asian company takes over a Western brand, it will do anything to preserve the brand image, because that is what makes a brand valuable and leads to those higher profit margins. This view is contrasting with the way American companies used to handle their takeovers of European brands in the relatively near past. Ford and GM had short term views of quick profits by reducing development and production costs by sharing parts or even rebadging existing non-premium vehicles and then try to sell them at a premium price. The ideal recipe to quickly destroy brand value. Or an entire brand for that matter. Remember the Saab “Saabaru” 9-2X? Or the Saab “Trollblazer” 9-7X? Both conceived under ownership by General Motors and the last spasms of a dying brand, squandered by an owner who didn’t understand what makes made a Saab a Saab and what kept the once-faithful buyers coming back, even if the products weren’t always perfect. Or remember the time when Ford used window switches from the Fiesta, mirror controls from the Sierra and door handles from the Mazda MX-5 in the >$100.000,- Aston Martin DB7 and still expected to draw customers away from Ferrari and Bentley? Fortunately, when Alan Mulally became Ford’s president and CEO, he quickly dismantled the Premium Automotive Group and sold Aston Martin in 2007, Jaguar Land Rover in 2008 and Volvo in 2010. Jaguar Land Rover, whose two brands were struggling to find their identities under Ford ownership and lost £673,4 million in the 2008 fiscal year, have blossomed after India’s Tata acquired the brands and invested billions to renew the existing product lines and add extra models, expand the factories and create thousands of extra jobs in both the UK and abroad. In the fiscal year ending March 31, 2013 alone, Tata invested more than £1 billion in Jaguar Land Rover. And those investments have more than paid off: turnover has almost quadrupled from less than £5 billion in 2009 to more than £19,3 billion in 2014, and 2009 was the last year the company lost money. In fact, in the five fiscal years since 2010, Jaguar Land Rover has enjoyed cumulative net income of £6,85 billion. Geely, the Chinese automaker which acquired Volvo in 2010, has been slightly slower to invest into the Swedish brand, but that doesn’t mean it’s slacking. Volvo hit a record 465.866 sales in 2014 and will introduce at least seven all-new cars in the upcoming three years, making the all-new XC90 the oldest vehicle in the line-up by 2018. An impressive feat in any regard, but especially from such a relatively small brand. And it couldn’t have pulled this off without a significant injection of cash, something Ford simply wouldn’t have had the resources for. When Ford announced the sale of Volvo to a Chinese maker of cheap small cars, a lot of people were afraid the new owner would shut down the European factories and move production to China, hurting the Swedishness and premium image of the brand. But instead, Geely recently announced a $500 million investment to build Volvo’s first-ever North American production plant, which should help the brand double its sales in what used to be its most important market. Yes, used to be, because Volvo increased its sales in China by 45% in 2013 and another 33% in 2014 to make it the company’s biggest market, helped by local Chinese production of the S60L, XC60 and XC90 Classic since last year. The factories in the US and China will produce additional capacity to the existing factories in Sweden and Belgium, which will continue to operate at near full-capacity. Now compare those two stories to the thousands of jobs that were lost when Saab had to shut its factory in Sweden as a result of years of neglect by its parent General Motors. We should embrace the new owners of our brands as they have proven to understand what it takes to be (and to stay) a global premium brand. Instead of simply frowning upon the profits that are transferred abroad, we should be grateful for the thousands of jobs that are created by expanding factories and R&D centers thanks to huge investments and blossoming brands. What has made these acquisitions so successful? 2 factors have played a major part: cash and a hands-off approach. The Asian companies have a much longer-term view for their investments. Instead of reducing costs and milking the brand for all that it’s currently worth to make a quick return on their money, they invest in new products and boost marketing budget, as building a brand creates much more value in the long term. They also didn’t interfere with management but gave them free reign and let them do what they did best. 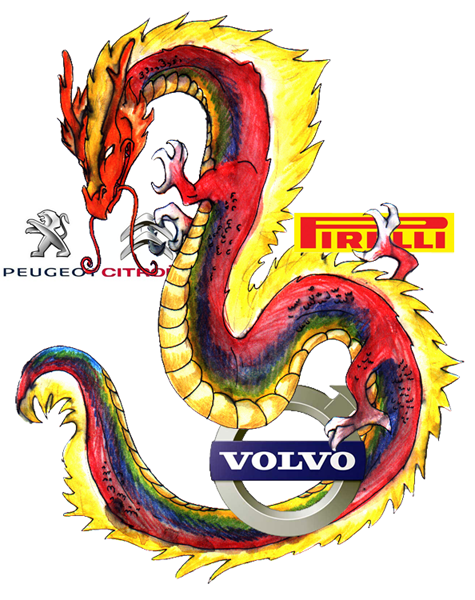 This protected the characteristics of the brands, as Volvo is more Swedish under its Chinese owner than it has ever been under its American owner and Jaguar-Land Rover have thrived under Tata Motors by retaining their Britishness and their identities as traditional luxury brands. These are surely not the last acquisitions of high-profile brands by Chinese or Indian companies, as especially the Chinese have a huge war chest full of cash and know exactly how to spend it wisely. They’ll just wait for a brand to start to stumble under its current owner or for a large parent of a historic brand to get into a credit crisis and then strike with military precision. They have the patience to wait until they can snap up a valuable brand at a discount and then pour in the cash and let management do their trick. Who do I think they have on their radar? Alfa Romeo and Lancia are the first to spring to mind, once FCA has burnt through its cash and is forced to sell off its crown jewels, but also Lincoln when Ford finally decides to pull the plug on its once-storied brand. A great article that stands up for the Chinese MMF’s. They haven’t always got it right but they learn from their mistakes, unlike some now long gone UK Manufacturers that were not able to see where they were going wrong! Interesting point. The US-icans seem determined to interfere and their management concepts are destructive. I think the Indians and Chinese take a more hands-off approach. What a super job GM did with Saab. Dolts, I say. Exactly on point, Richard. Leave those who know what they’re doing alone and let them do their job. Make sure they have enough cash to keep working on the brand and on new products, and perhaps tell them WHAT to do, but don’t tell them HOW to do it.